Bill O’Connell was right. 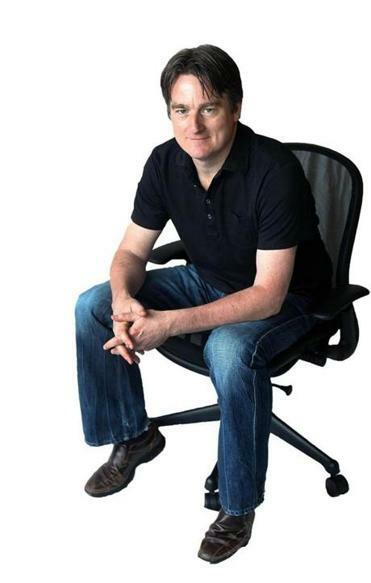 Fourteen years later, English sold Kayak, his travel-oriented search engine, to Priceline. After generously splitting the take with “Billo” and the other 270 employees, the boss took home a cool $120 million. He was only 49. Tracy Kidder’s “A Truck Full of Money,” which traces English’s rocket rise during the Internet’s founding era while dealing for years with undiagnosed bipolar disease that sometimes made him soar and sometimes brought him low, acts as a fitting bookend to his Pulitzer Prize-winning “The Soul of a New Machine.” In part, it is to contemporary computer software what “Soul” was to 1970s computer hardware. But that’s not all of the story. Both books also shine a light on the enthusiasm, quirks, and energy that propel the people who devise machines and codes, and the business strategies that make or break their companies. Kidder’s new book is a slimmer, faster read than “Soul,” published in 1981, which required a lot of explanation about the emerging, and mystifying, world of computers. This time, as in his “Mountains Beyond Mountains,” about an idealistic American doctor in Haiti, and “Strength in What Remains,” about a survivor of the Rwanda massacres, a strong personality holds center stage. In English, Kidder has as fascinating a subject as one can imagine. The boy who grew up in a working-class, Catholic family in West Roxbury was an unlikely future computer whiz and entrepreneur. Skinny and hot-tempered, the sixth of seven kids, he often skipped homework. Even when he made it into Boston Latin, he was a poor student, prone to fighting with classmates. His only salvation was the computer club, where on an ancient IBM he figured out how to bollix up the school’s attendance records so that friends could play hooky. At UMass-Boston, English discovered and honed his enormous talent for programming. Soon enough he had earned a master’s degree and was making good money during the ’90s in Boston’s high-tech economy, and then was forming start-ups with Billo as engineering chief and Paul Schwenk as business chief. In the latter phase, he would feel “on fire,” burning with ideas for new start-ups and drinking too much. Pumped up by grandiosity, he felt as if anything was possible. It hardly mattered that he couldn’t sleep. Psychiatrists prescribed drugs, which rarely helped; instead, they turned him into a sluggish replica of himself. Off the drugs, he sometimes stared into the night, hoping the “black dog” would eventually slip away. Brenda White, one of his engineers and later romantic partner, suggested meditation, which offered temporary relief. Tom White (no relation), a legendary Boston philanthropist and fellow depressive, turned into a mentor in how to mute the effects of the disease and how to give away lots of money. Kidder’s prose glides with a figure skater’s ease, but without the glam. His is a seemingly artless art, like John McPhee’s, that conceals itself in sentences that are necessary, economical, and unpretentious. This author holds to his unusual contract with his subject. Kidder makes it clear that Kayak was another man’s idea, not English’s, and that he was lucky to make tons of money before the dot.com bust. Some of his projects have failed. And his plan for a start-up-incubator office that could double as a nightclub seemed born more of mania than good sense. The end of the book finds English, his manic depression finally under control, at work on yet another travel start-up. Only in his 50s, the public-spirited serial entrepreneur, already bent on philanthropy, may yet follow Tom White’s example and give away that truckful of money. Random House, 259 pp., $28.